After driving the route a couple days before, I did some quick math and realized that this route would be a sufficiently short but challenging climb for a day, and hell yeah, it was great! 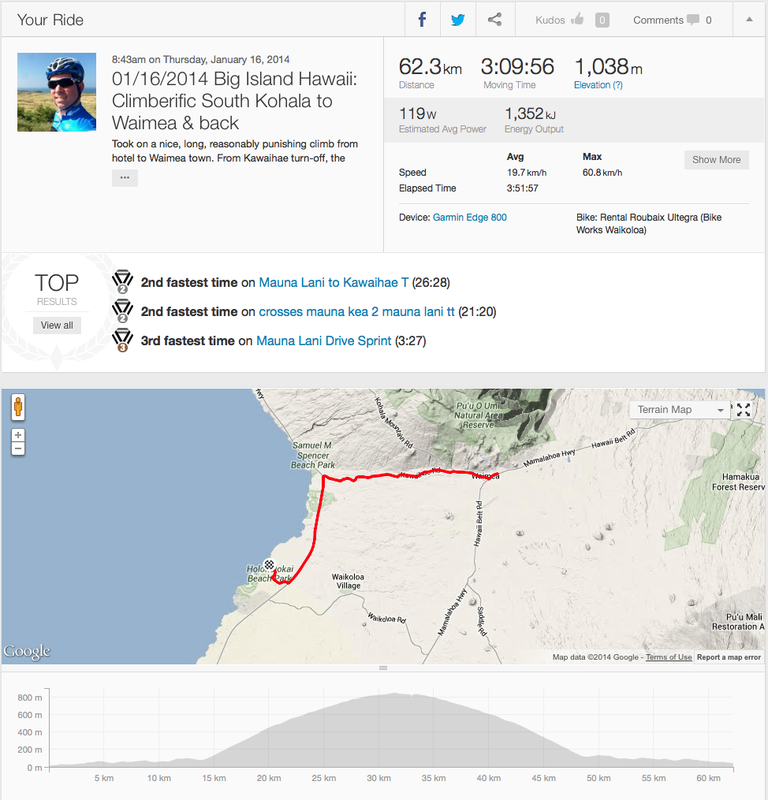 The route started out along the now-familiar Queen Kaahumanu highway to the Kawaihae/Waimea junction, but this time a right turn towards Waimea. That’s where the fun starts! The climb (from my telemetry and quick math) is a looong, steady route of approximately 17 kilometres with 800 meters of gain (avg. 5% grade). 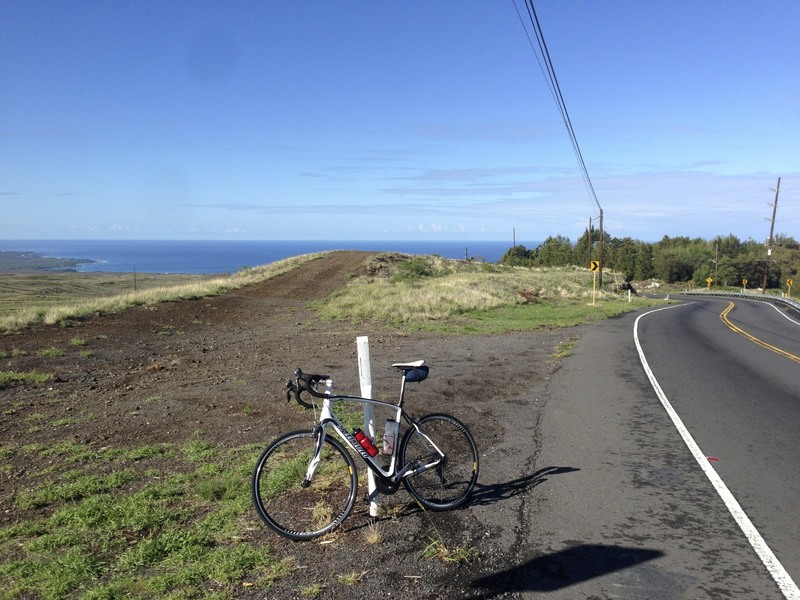 It takes you past an advertised 2,500 feet above sea level to Waimea town centre. The nice thing is that at that elevation it’s quite a bit cooler too, which is welcome after such an effort. It’s a really nice, twisty, consistent road and grade, and as always, amazing tarmac. Some tight shoulders, but not a ton of car traffic and the locals seem to be aware of cyclists and make necessary accommodations. The length of this climb really lets you get into your own head, develop a rhythm and see what you’re made of. I’m sure for the pros and avid riders it’s a piece of cake, but a 5% 17 km. climb is plenty challenging for me. 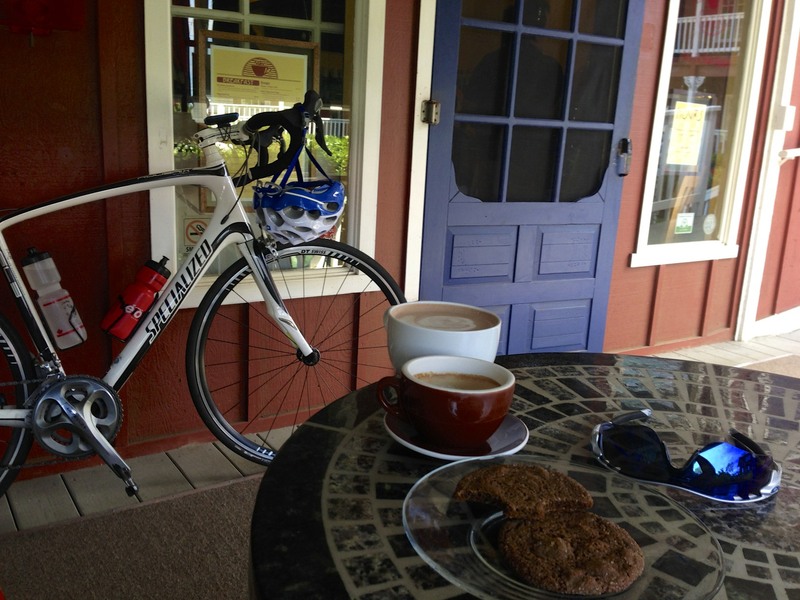 At the top, Mountain Road Cycles if you need any repair work or bits and pieces, and Waimea Coffee Company for a double espresso, hot chocolate and a couple of ginger cookies. Oh, and fun times descending! Not the fastest descent ever (save that for Mt. Seymour or Cypress in Vancouver) but a solid 8-10 minutes at 50-60 km/hr. Saw a Kelly Optum Pro Cycling pro rider (sporting one of their new Diamondback rigs) coming down while I was chugging up. Good times. Worth noting, he and only 3 other cyclists TOTAL on this day. Amazingly few riders out on these epic roads and routes.